iTerm2 supports the mouse and most keybindings out of the box. 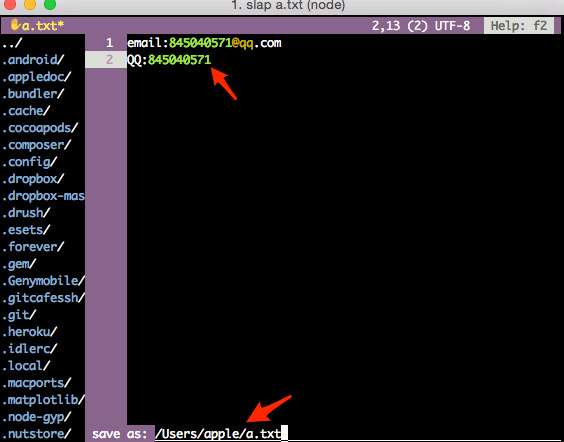 For optimal Terminal.app usage, see slap-Terminal.app-profile. If you are using X.Org, ensure xclip is installed for OS clipboard support. Most terminal emulators in Windows do not support mouse events, PuTTY being a notable exception. In Cygwin, slap crashes on startup due to joyent/node#6459.